Each of these dresses begins with a top and then a circle skirt, except for the doll on the right in green. Barbie Basics Model No. 14 Collection 003 has half small circle sleeves with a band around the top. Barbie Collector Basics Model #05 – Collection #2 has a belt, combo sleeves of straight sleeves plus half circle sleeves, and a cape. Barbie Basics Model No. 07 Collection 003 has elbow length straight sleeves and shoulder straps. 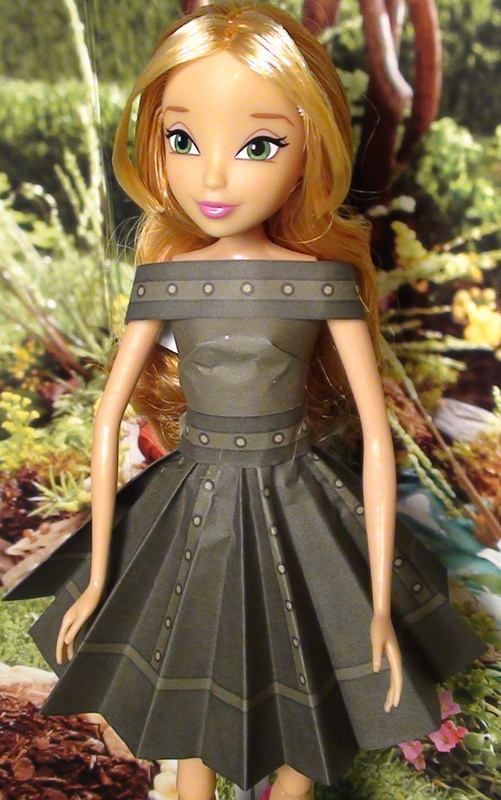 Barbie Basics Model #02 Collection #003 has a top, straight skirt, split circle overskirt, belt, and wrap around collar. Barbie Fashionistas Sassy Doll has a top, flared skirt, belt, half circle sleeves with a band around the top, and a necklace. 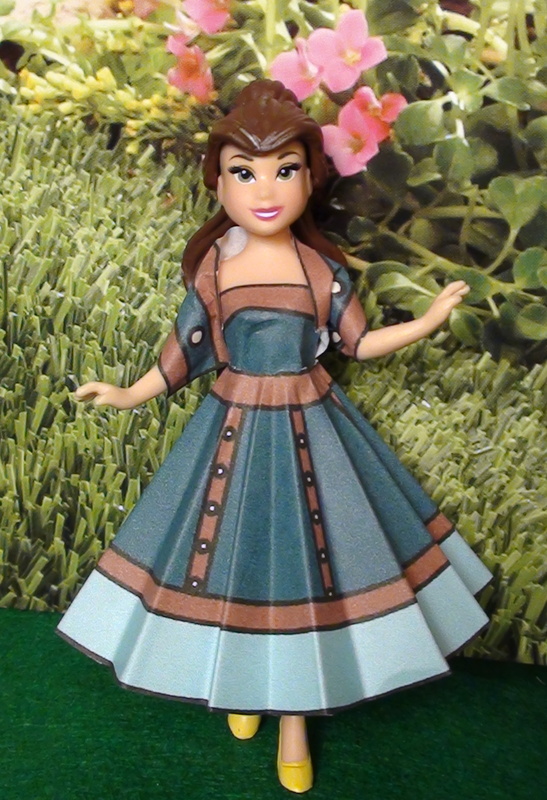 This tiny Belle doll has a top (since the doll was so small I used part of straight skirt) a small circle skirt, and I wrapped a strap around her shoulders for a shawl. 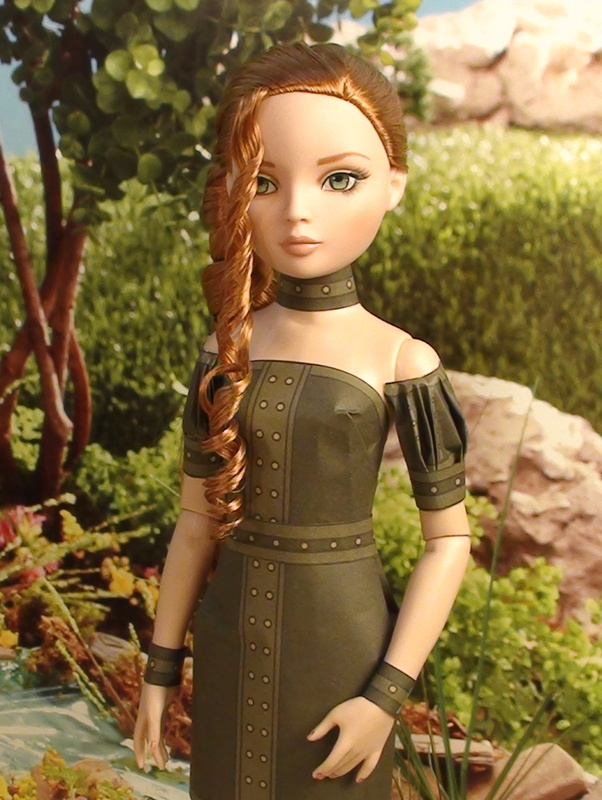 Flora has a top, circle skirt, belt, and wrap around collar. 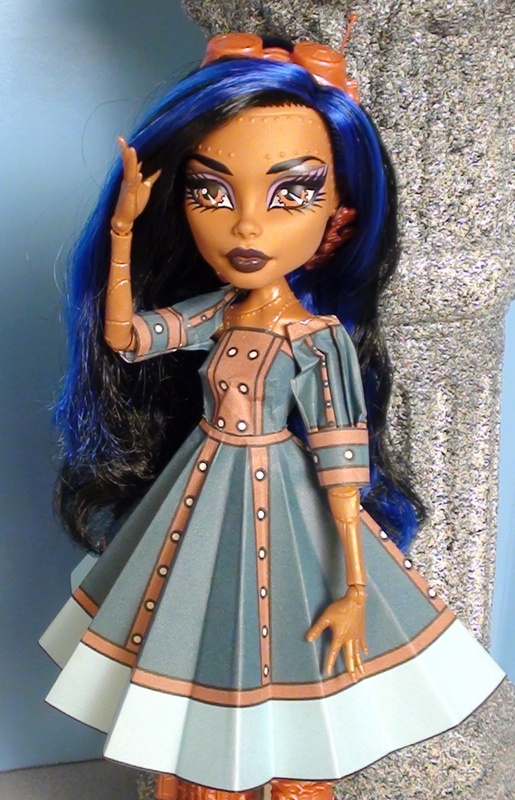 Robecca Steam has a top, circle skirt, and puff sleeves. 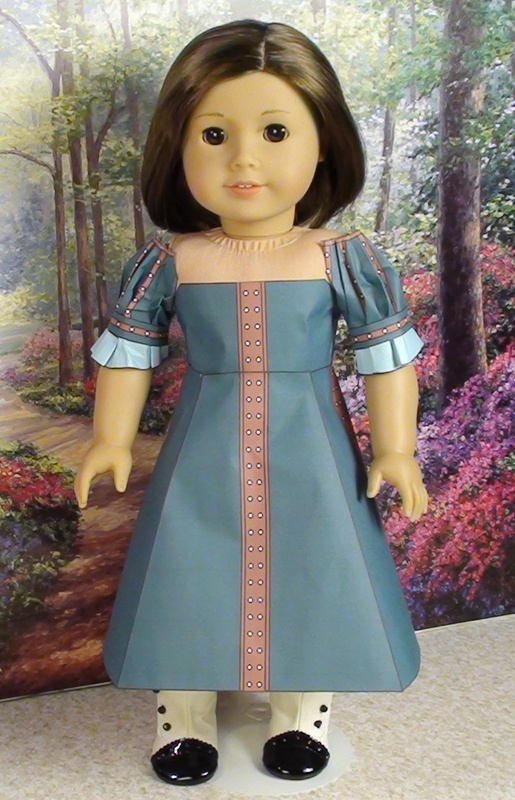 This American Girl Doll has a top(made from two top pieces flipped up side down), a four piece flared skirt made from only front pieces, and middle puff sleeves made with the large circle and belt pieces. You can see how to make this dress on my American Girl Page. Ellowyne is wearing a top (with another top piece in the back as an insert since Ellowyne is wider than one top piece), a straight skirt made from two pieces with one in the back, and puff sleeves, with strap pieces used for bracelets and a necklace. You can see more on this dress on my Ellowyne page.